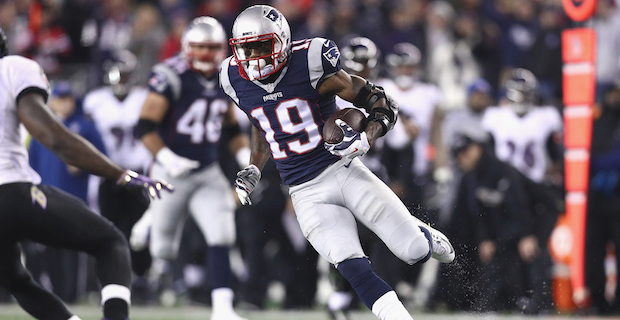 On Friday, at his Alma Mater, Malcolm Mitchell decided to announce his retirement. His announcement came during a TED Talk at the University of Georgia. Mitchell struggled with constant leg injuries, which led to his ultimate decision to walk away from the NFL, only two years after he was one of the most valuable players in Super Bowl 51. Mitchell also wrote about his retirement on Instagram. As stated above Mitchell will most likely be remembered for his performance in Super Bowl 51. Mitchell had four catches in the fourth quarter. He was drafted in the fourth round, by the Patriots, in the 2016 Draft. Mitchell's post-NFL career will kick off with his Share the Magic foundation. In his Junior year at Georgia, Mitchell discovered a new love for Reading after he suffered an ACL tear. Mitchell then took that love and developed literacy groups, a womens book club, and eventually wrote his own book: The Magicians Hat. Mitchells retirement is very similar to another former Patriots player, Martellus Bennett. In a post this March, Bennett took to Instagram to talk about why he couldn't come out of retirement to join his brother, Michael Bennett who recently was traded to the Patriots. "This is why I can’t come out of retirement. I would love to play ball with my brother it would truly be a dream come true. my biggest dream is to change lives with my creativity and that is what I am currently doing @theimaginationagency these kids don’t need another athlete to look up to or to aspire to be there’s plenty of inspiration out there for that. I want to inspire the next wave of creatives. The storytellers. The engineers. The designers. The doctors. The filmmakers. The composers. Tech moguls. And maybe a few athletes who like me never felt like they belonged in a locker room." While being successful in sports is incredibly important guys like Martellus Bennett and Malcolm Mitchell will have legacies that will be remembered just as well as those who were successful on the field.